We believe in service, quality, value and state-of-the-art technology. There is no gain when we compromise treatment by rushing due to insurance discounted fees. We are not a participating dentist on any insurance plans. We treat each patient with personal care and attention when you come to our office. We see one person at a time to make sure we are not distracted or rushed to get your very important treatment completed. The value in our service is seen long-term by maximizing the longevity of our restoration and the completion of treatment. Value is not gained with less cost and poor quality. Come in and let us show you the difference! Please note that we do not accept Medicare. 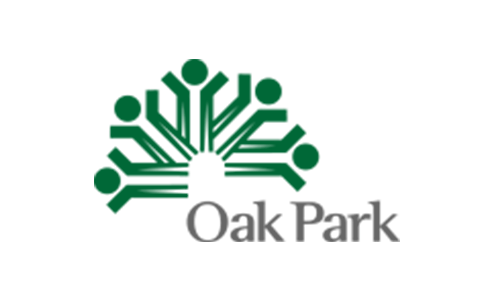 We at Oak Park Dental Associates believe, in these times of financial challenges, that our office is equally as responsible as you are in making sure you are not getting into financial debt. Because of this belief, we offer you the following financial arrangements. We recommend payment at the time of service to minimize any unnecessary financial burdens after treatment. Good financial planning is good lifestyle. To encourage prompt payment, we offer a courtesy discount of 5% for full payment at time of service with cash or check payment or a 3% courtesy discount for full payment at time of service with Visa or Mastercard payment. To lighten the burden of dental services of major treatment requiring multiple appointments, we offer an in-office payment plan splitting the payment between the time we start treatment and the balance due at the last appointment of the major treatment. Any subsequent payment after completed service is subject to charges and administrative fees. We offer a third-party financing plan option that allows you the convenience of paying your treatment in multiple payments up to six-months interest-free.